About Us | Kent | Canterbury Motoring World Winter breakdown kit Checklist. 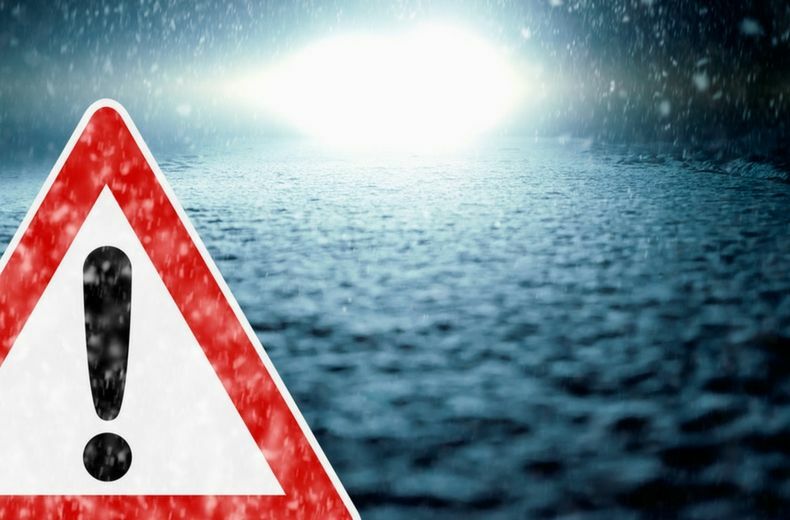 Winter weather can have a serious effect on a car's health, increasing your chances of a breakdown and leaving you exposed to harsher conditions – so it is important that you drive prepared. To help you stay as safe and well prepared as possible we have drawn up a winter driving checklist of all the essential items you need in the event of a winter breakdown. The following breakdown kit essentials are all recommended emergency items to keep in your vehicle. Many of the products can be bought in the RAC Winter Driving Kits section of the RAC Shop. Stuck by the side of a country road in the dark of a winter's evening with a flat battery? It's a very real possibility, and without any light it can be a frightening and dangerous situation. A large torch with spare batteries or a wind-up torch which doesn't require battery power should definitely be among your breakdown kit essentials. A breakdown could mean a long wait with no heat, so it's sensible to have some warm clothes to wrap up in - a big coat, gloves, a spare jumper, hat and gloves. High-Visibility clothing won't necessarily keep you warm, but if you need to leave the vehicle in the dark it's critical that you can be seen by other motorists. In heavy snow and slippery conditions, you should wear suitable boots with a strong grip if you plan on exiting the vehicle. An alternative or added extra could be snow grips to slide on over shoes. Either way, footwear that prevents you from slipping over is necessary. 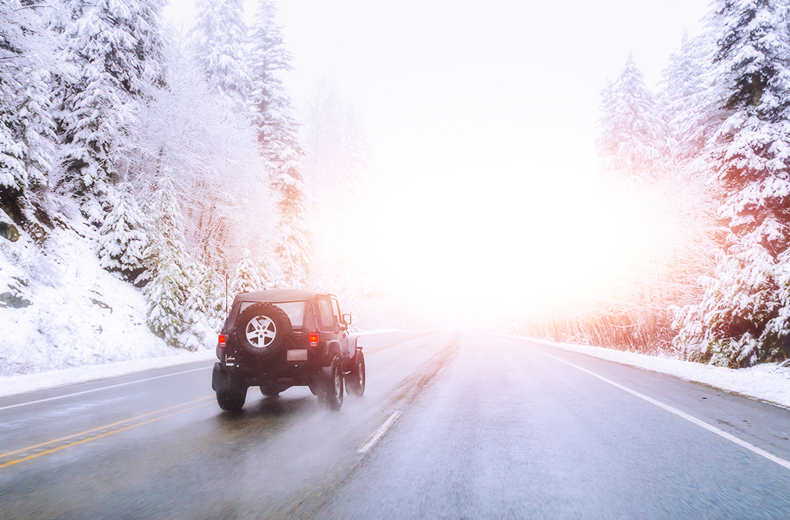 Don't forget a first aid kit in a winter driving checklist to deal with minor injuries. Read our advice on how to jump start a car a number of ways. 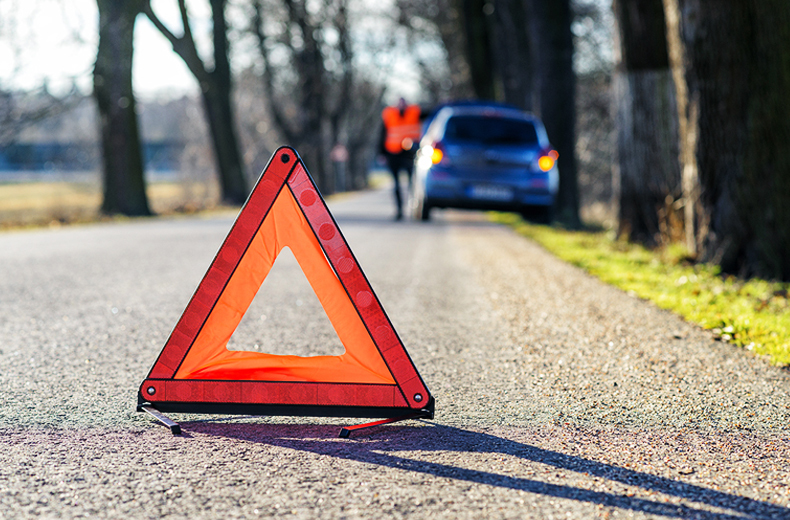 Some breakdowns aren't due to a flat battery, engine failure, or a mechanical fault. This is obviously easily fixed providing you can find your way to a petrol station, and once there you'll need a can to fill with fuel. The prospect of being abandoned at the roadside for hours in poor weather conditions is a gloomy one - if you're hungry it can feel far worse. And, if you have children in the car, it's doubly worse! In deep snow - for example if you're driving on smaller roads which may be relatively untreated - it can be too easy for a vehicle's wheels to get stuck. A shovel can help you to literally dig yourself out of such a problem; if boot space is limited why not buy a foldable model? Ideally, the stand of the sign will be solid so it's not easily blown over and the reflective quality makes it visible in the dark. The signs should be at least 45 metres - that's 147 feet - behind the car, however, never use them on motorways. Yes, even in these modern times with Sat Nav systems there's still a place in a car for a paper based road atlas in case of diversions or getting lost. There's also the possibility that, in the result of a flat battery any electrical devices will be out of action and even after the car is back on the road you may prefer to keep these turned off. Low winter sun can seriously affect driver visibility, creating a glare which makes it difficult to see the road. Always ensure you have a pair of sunglasses to hand. What if you break down somewhere with no phone signal? If you're on the motorway you'll need to locate the nearest emergency phone. When it comes to driving in winter, preparation is key. Before embarking on a long journey it is worth running a series of checks on your car to ensure it is equipped for the drive and in good shape. 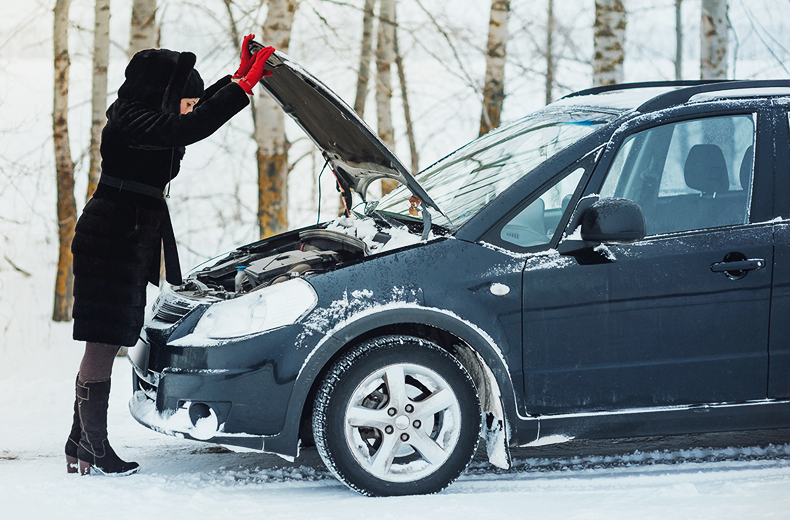 As stated in this guide 10 ways to prevent a breakdown in winter, we'd rather stop our members breaking down in the first place than have them stranded at roadside. Our tips include checking the car has enough fuel for the planned journey, that oil and coolant levels are topped up, tyres are at the correct pressure, and all lights are working properly. Screenwash levels should be topped up too, and it's also a good idea to take some spare windscreen washer fluid in case driving conditions mean the screen needs clearing more than usual. Be prepared, be properly equipped, drive responsibly and stay safe on the roads in winter.